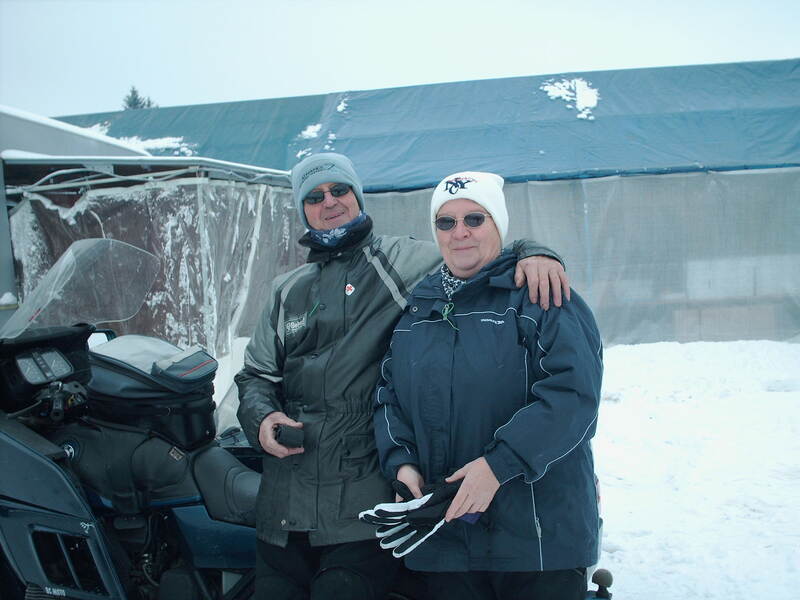 The Federation of Sidecar Clubs is an international organisation. We are justly proud of our logo which is shown on every page of this website. The hands across the globe symbolise international friendship and cuts across all language barriers. Frank and Pauline Lamoon, Two UK members that moved to France. Hajime Karasawa from Japan who visited the Annual Rally with his daughter in 2006 with Marc Thouret from France who is a regular visitor. 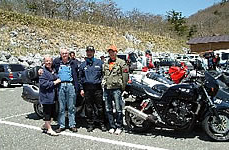 Bob and Mary touring with Mr. Takamitsu Abe (Proprietor of "Bike House Abe") and son Isao on the Island of Shikoku - Japan in May 2004. Richard and Millicent Williams (Republic of Ireland) Bob and Mary Parsons (U.K.) Marc Thouret (France) and Hajime and Emily Karasawa (Japan) at the FOSC Annual Rally 2006. Emily Karasawa (eldest daughter of Mr. Hajime Karasawa who is the JSC's Overseas Contact) at the FOSC Annual Rally 2006. 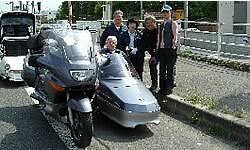 Bob and Mary Parsons touring with JSC friends in Japan in May 2004. JSC Annual Sidecar Festival entrance in May 2004. 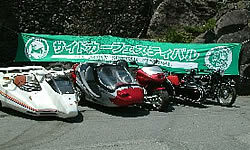 Note the Federation of Sidecar Clubs emblem on the right of the JSC banner. 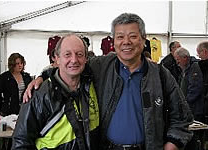 Richard Williams (FOSC member for over 30 years from the Republic of Ireland) and Mr. Minoru Minamide (Japan Sidecar Community and now also FoSC member) at the FoSC Annual Rally 2005. Dider and his children at the Welsh Rally 2006.Dider and his family are from Brittany and chose the Federation of Sidecar Clubs for "her international spirit". A wonderful sentiment, thank you Dider. If you are a member of The Federation of Sidecar Clubs from outside the UK and you would like a picture on this page please send it to the webmaster. Please include your name and a little information about the picture.